Tolar AVL, Incorporated was a California S-Corp, founded in 1990 by Robert Tolar, a 21 year old college student at Chico State University and musician. Bob began purchasing sound gear to cut long term costs of renting PA’s for his classic rock cover band, Monkey Business, that was touring the Northern California club circuit and performing for corporate events in the Bay Area. After two years of throwing every red cent he found into gear, Bob had possession of the finest sound system in town, among the many local bands. “Hey man! If your not playing Friday night, how much would you charge to bring out your PA and do sound for our band?” and Tolar Sounds Audio Services was born. When Bob graduated in 1995 with a Bachelors Degree in Marketing and a minor in Recording Arts he obtained a business loan for $40,000 and made his first big purchase. 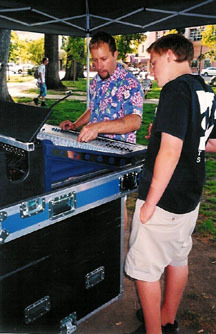 He also obtained a half time position as a Studio Technician for CSU, Chico’s Recording Arts Program and began teaching audio classes on the university level. The internship program with CSUC was also launched that year. Using the income from the college to pay for living expenses, Bob Tolar reinvested all the revenues from the sound company back into equipment. Today the company owns over $1.5 Million in assets with annual investments averaging $100,000 each year. 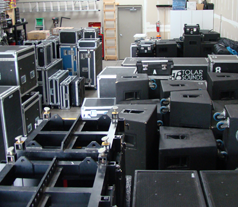 Using the very well equipped scene shop at Chico State’s performing arts center, Tolar Sounds began building speaker enclosures and road cases in 1997. Equipped with a considerable welding facility, the shop also allowed the development of custom fly hardware, mounting brackets and framework to be designed and custom built. Tolar Sounds began to develop a positive reputation for innovative designs and extremely meticulous engineering. 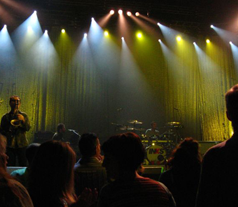 In the year 2000, Tolar Sounds began designing and installing sound systems for local venues. One of the first jobs we did was The Sierra Nevada Brewing Company’s beautiful concert showroom, which has grown to become one of Northern California’s key hotspots. 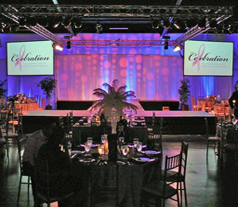 We designed and installed the equipment for this venue and have done several upgrades since. It includes a full concert sound system, elaborate lighting system and corporate video projection and switching. We are still the in house AV company for Sierra Nevada and handle all production for the room. You can check out some of these shows Friday nights on PBS. The venue has seen some great artists over the years. Huey Lewis filmed his 25 anniversary DVD in High Definition at this venue. Come see a show some time, but be sure to buy your tickets early. Every show they do sells out a half hour after tickets go on sale. Between September 11th, 2001 and the over saturation of concerts offered by the emerging Indian Casinos, local long time concert promoters began losing money on their shows and the concert industry, outside the casino market, took a dive which drove down prices. We duked it out with other regional companies for market share and thankfully faired well, but the experience drove us to diversify the company for further stability. 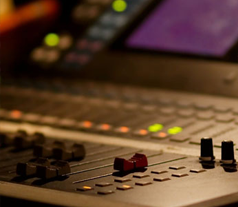 For this reason, we added Disk Jockey Services and sound reinforcement for weddings and began offering video services and renting projectors and screens, a segment of the business that has grown significantly each year since then. Unfortunately in this business if you want a larger piece of pie, you have to take someone elses…and we like pie! So also in 2001, Tolar Sounds became a reseller of professional audio equipment, obtaining dealerships for the high end lines that the company had been relying on for years. The company obtained a C7 California State Contractors License the following year and began aggressively designing, selling and installing sound systems for churches, schools, clubs and restaurants. In 2003 the company began providing lighting and video sales and service as well, installing projectors, screens and video cameras and offering AV services for business seminars and meetings at hotels and rental halls throughout Northern California. Currently our contracting division is managed by Chuck Mahar, former proprietor of the Sound Source music retailer in Chico, and he has diversified it dramatically, providing unique and advanced systems integration solutions for a wide range of clients from sound masking white noise systems for the county courthouses to SMART Class Rooms for our local schools. 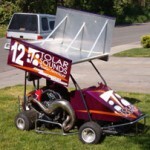 In 2004, Tolar Sounds Audio Services was incorporated and the name was changed to Tolar AVL, Inc. (for audio, video & lighting) A brief stint with our own mini sprint race car proved to be a total waste of money, but was fun for a while. You might have seen us getting our butts kicked at Cycle Land Speedway one Saturday night. 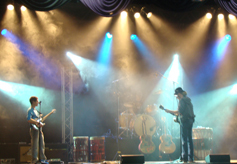 Finally in 2009, we embarked into full scale concert lighting, In the last several years this division has taken off and we have invested a great deal of money into lighting assets. We find that we have very few competitors that are on par with what we can offer in the area of lighting and the division is very healthy and busy every week. In 2012 we had the best year ever with our contracting division exploding into growth and has now reached epic levels of complexity and recognition, bringing in exciting revenue and opportunities. As we embarked on 2013 we saw dramatic increase in the production business as well and we have calculated that revenue for this year may double our best year ever. In 2014 we sold our interest in the Sales and Installation Division to concentrate on our real love, which is production for events. Our latest investment is in large scale outdoor LED Jumbo Tron Video Displays, which have been a huge and successful addition to our offerings. In 2017, a new corporation was formed called North State AV. The assets of Tolar AVL were sold by it’s officers to North State AV in exchange for stock shares in the new company and now the company operates under this new name.